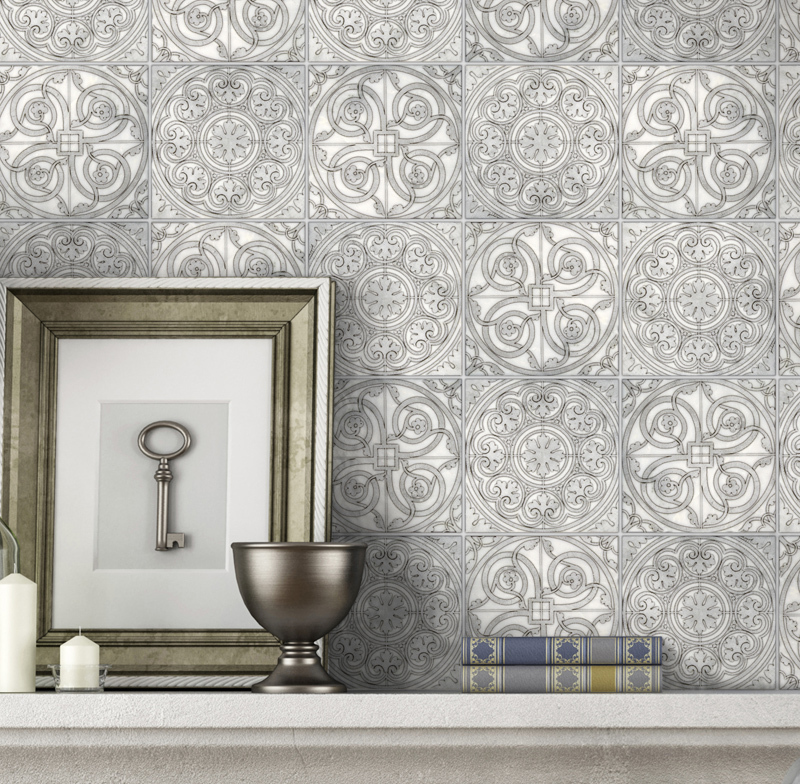 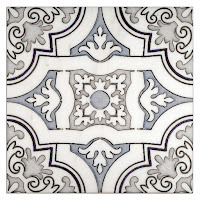 Choosing a pattern tile for a fireplace surround can be a unique way to add a bit of personal style to any home. 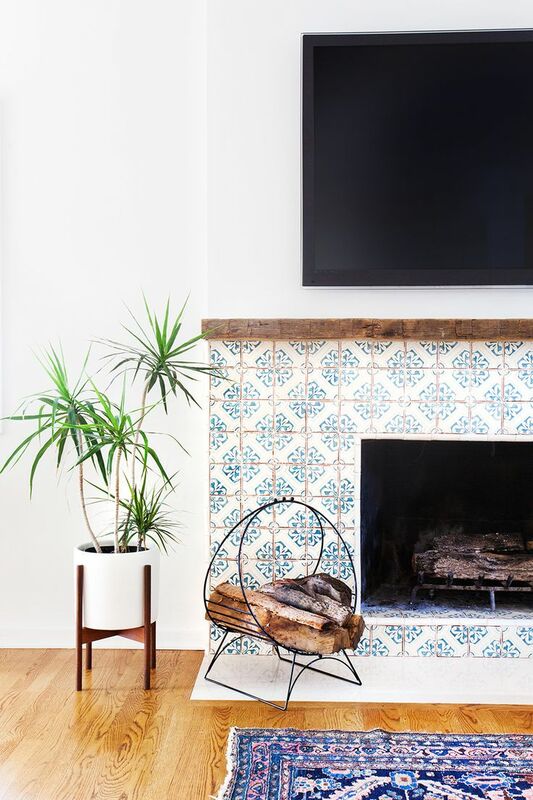 This relatively unconventional use of a pattern allows the homeowner or designer to add an element of surprise to the centerpiece feature of a room. 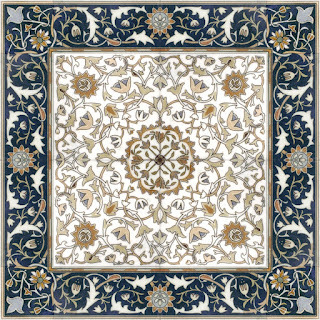 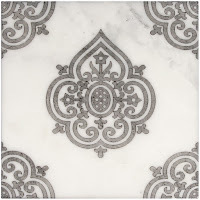 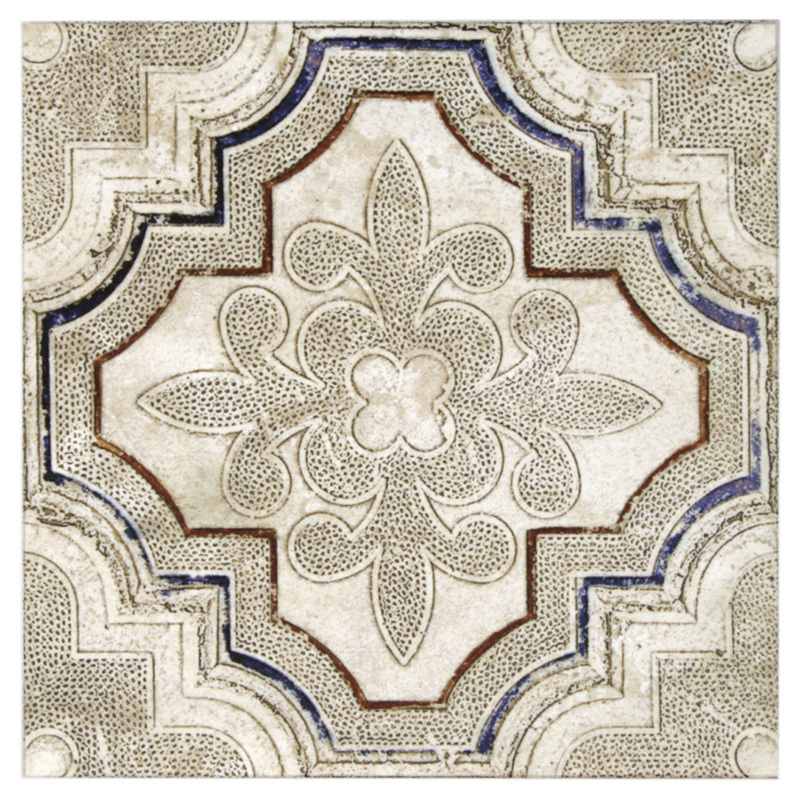 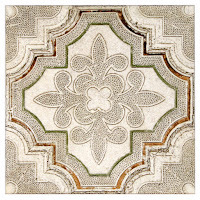 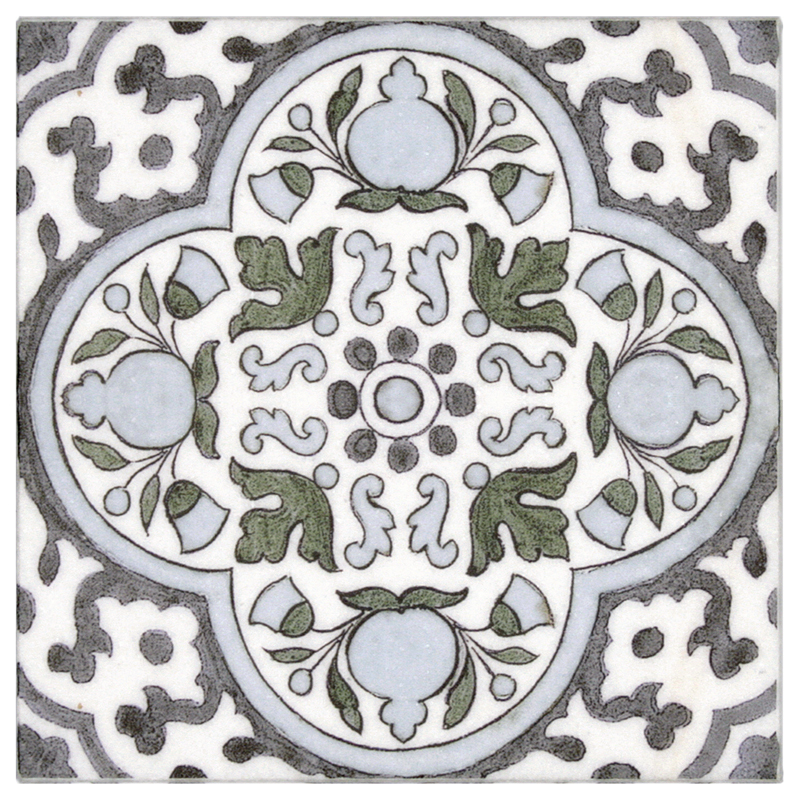 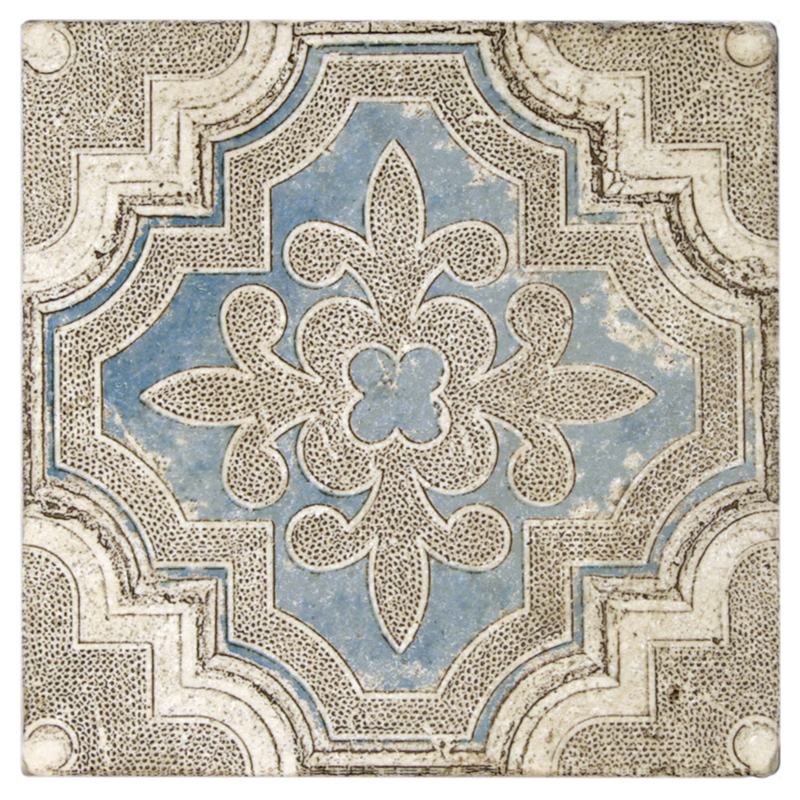 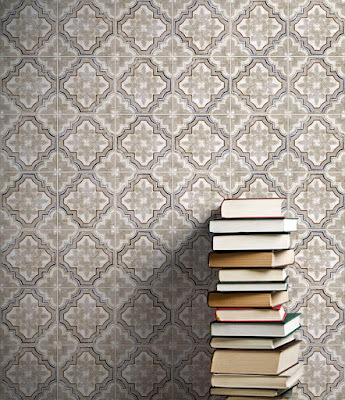 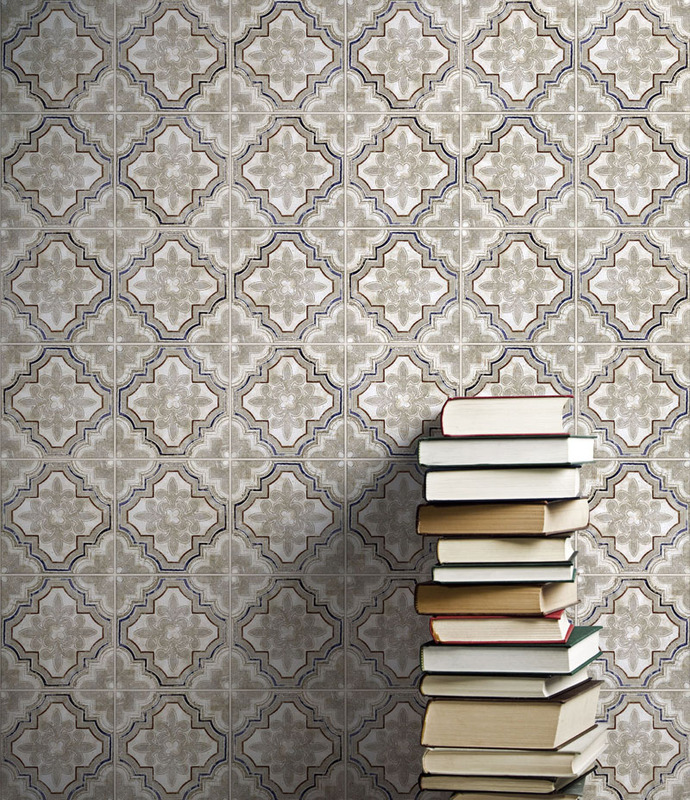 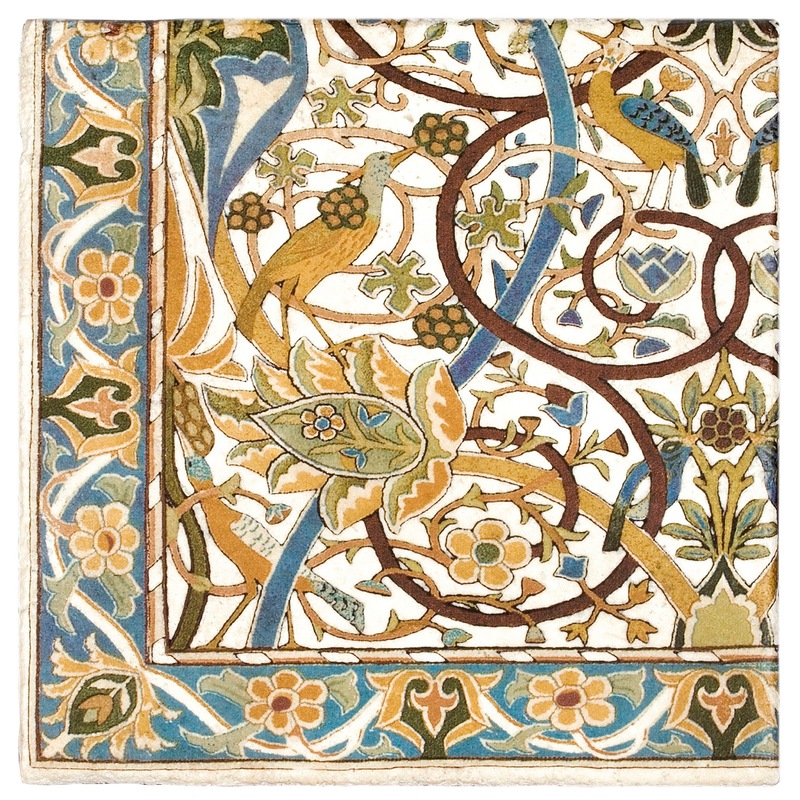 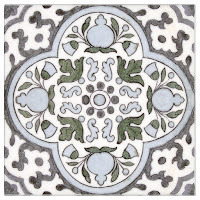 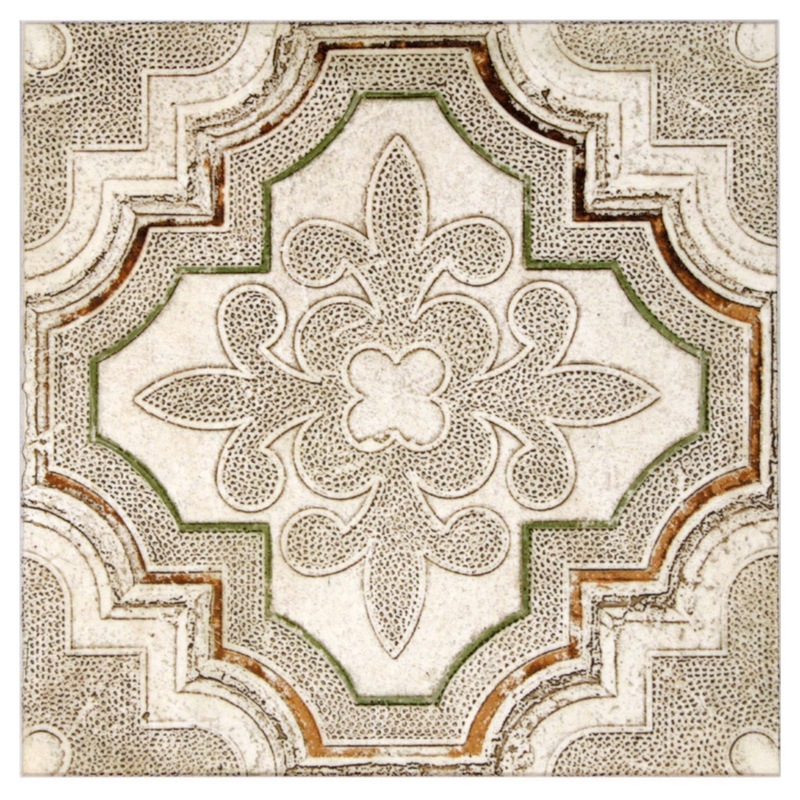 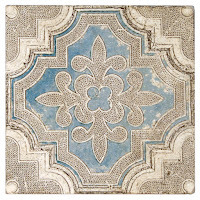 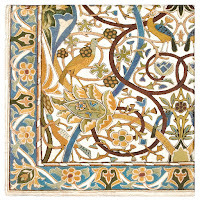 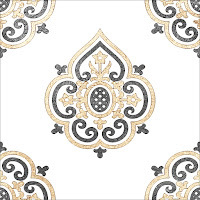 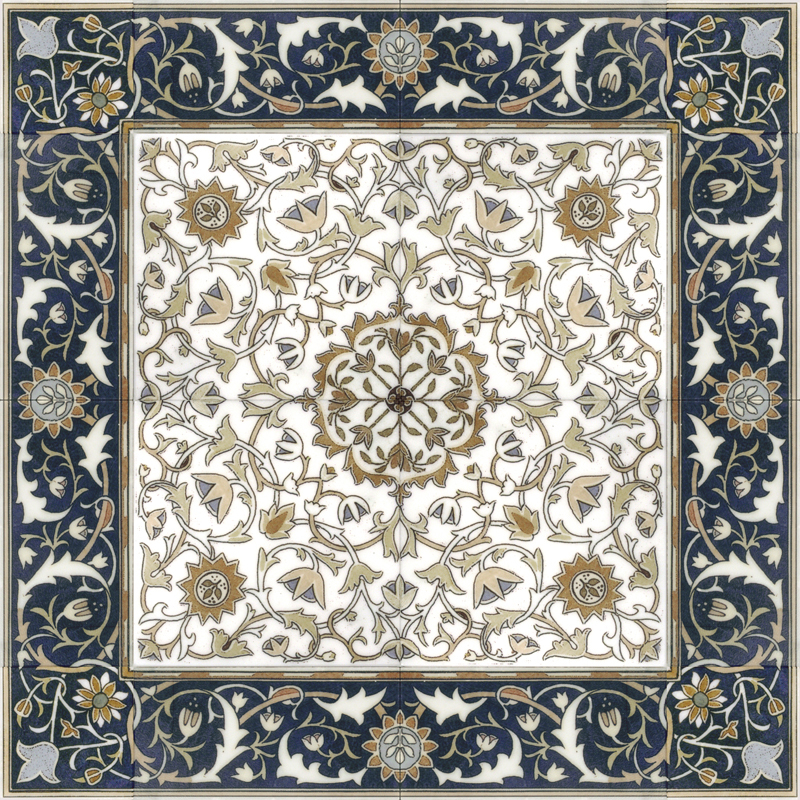 Originally, pattern tiles were mostly seen in Spanish style designs on floors, walls, counters, and fireplaces. 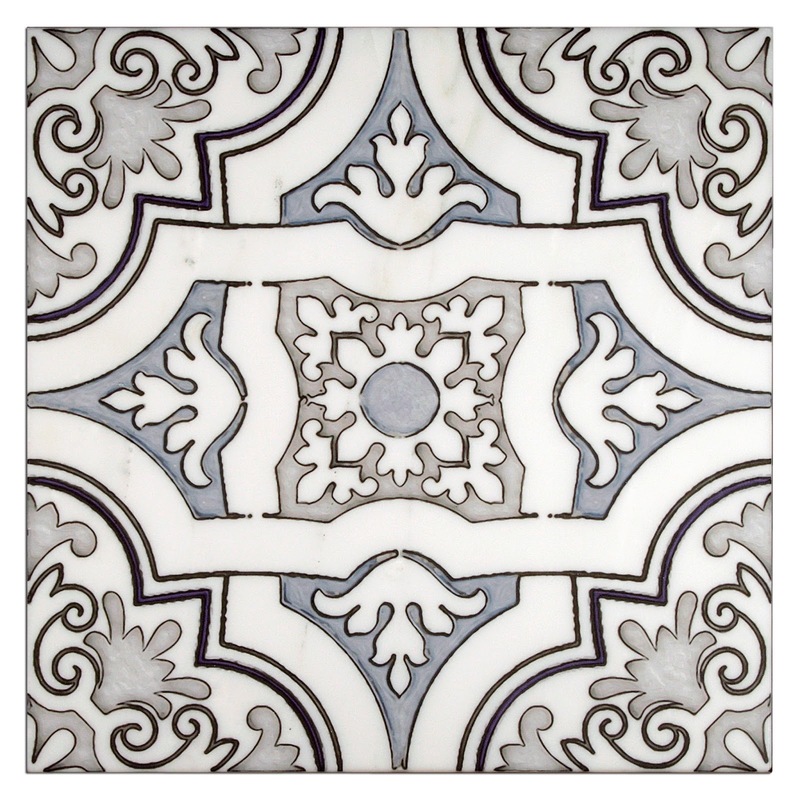 This growing trend is now spans across all genres of design; from the old world Spanish to the sleek contemporary lines of a modern style home. 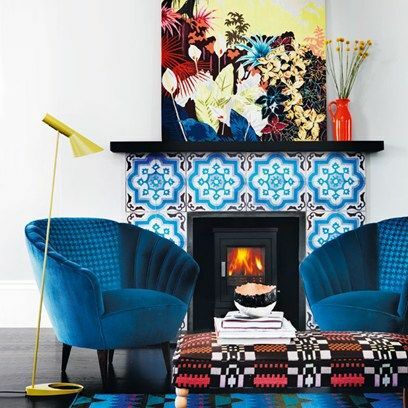 With the small scale of most fireplaces today, these features provide us a great opportunity to be bold with our style and add that little something extra to our homes." 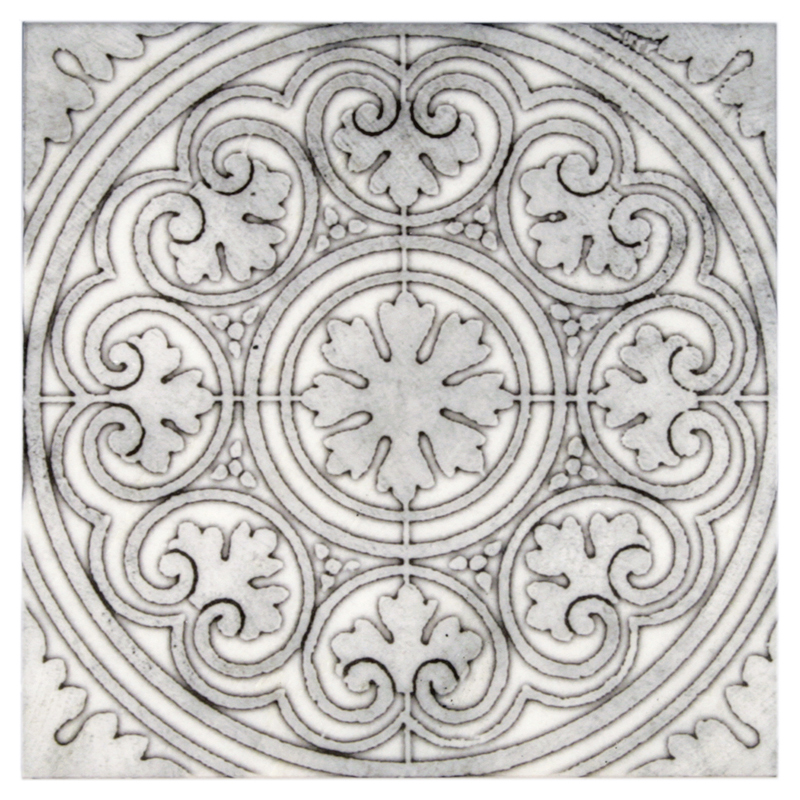 Both StoneImpressions and Artisan Stone Tile lines offer plenty of options of patterns to achieve this look. 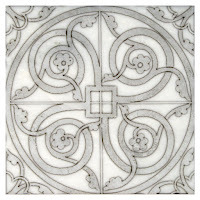 You can see our designs at www.stoneimpressions.com and www.artisanstonetile.com. 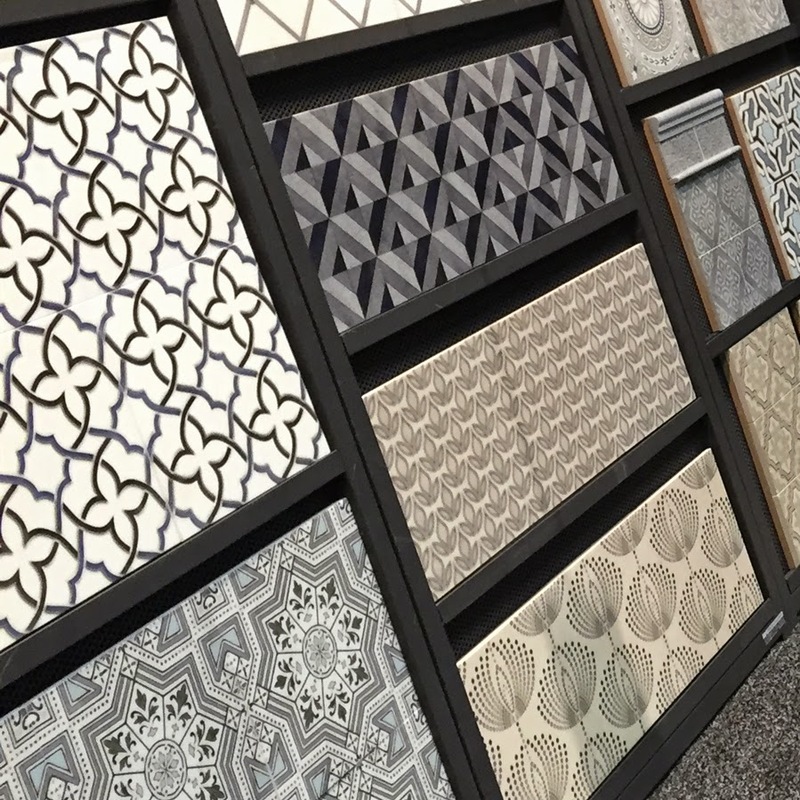 For and up close and personal look at our product, use the showroom locator on our website to find your closest tile dealer carrying our products! 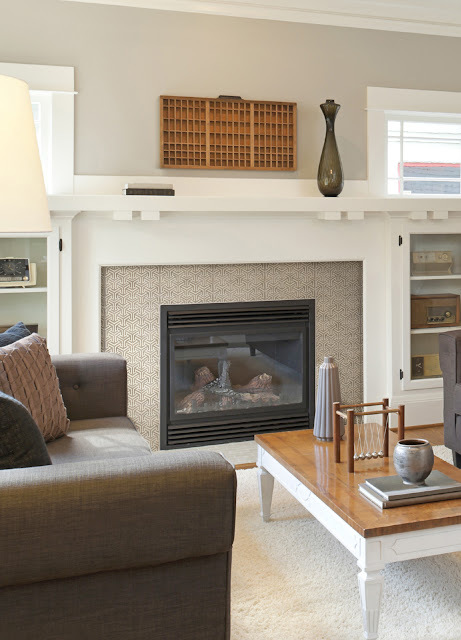 Also, check out our Pinterest board for more pictures of great pattern install fireplaces! 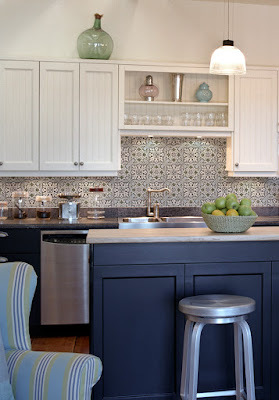 The Ellipse collection has a total of three color schemes: Chrome Grey as featured in the above kitchen backsplash, Noire Black, and Azure Blue. 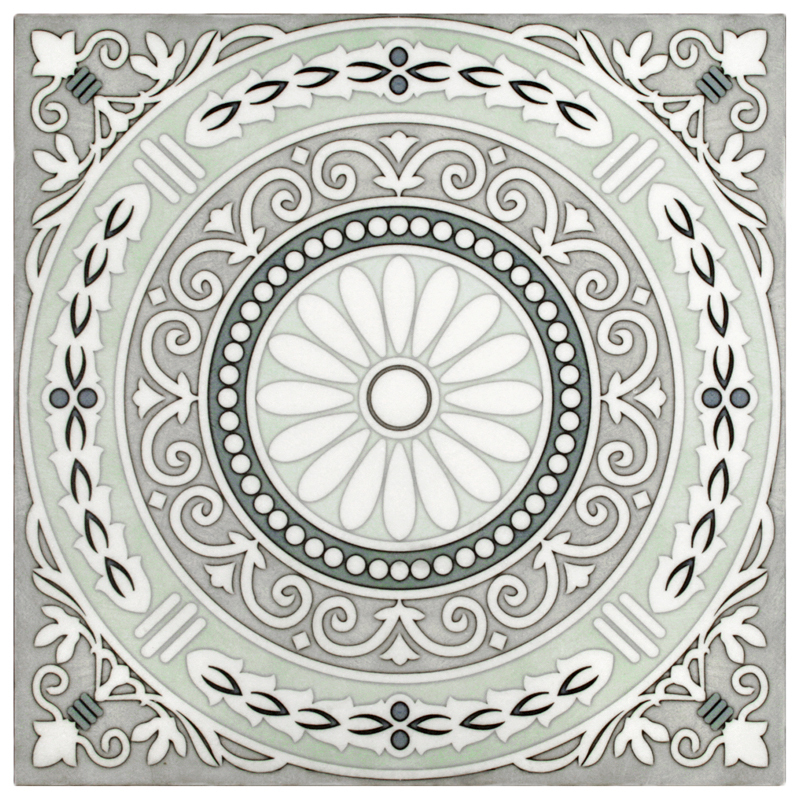 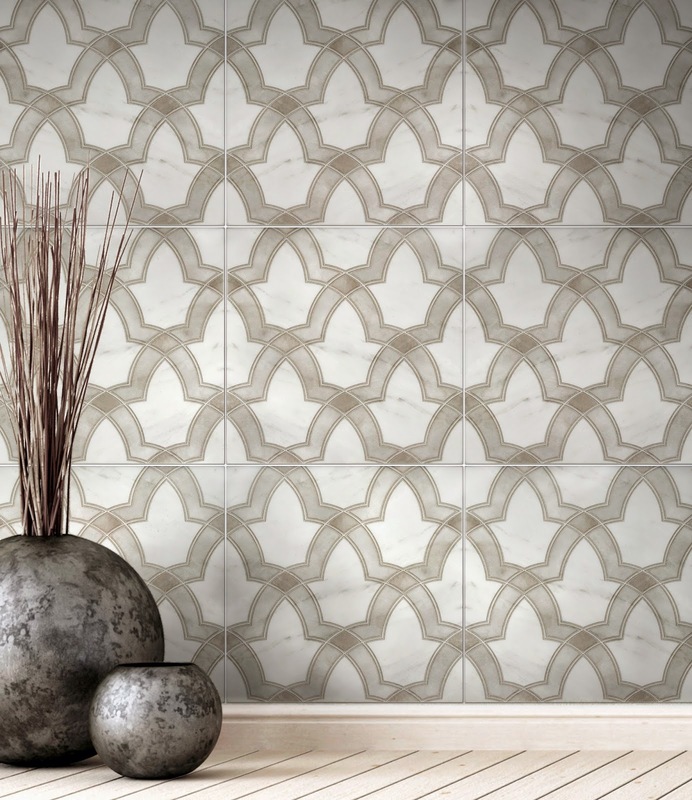 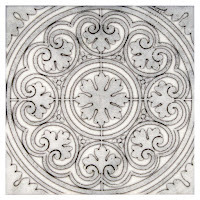 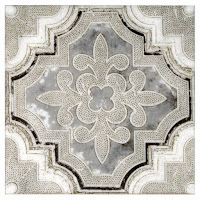 Ellipse’s embossed texture and continuum of diamond to circular shapes moves the pattern outside of each 12” x 12” tile and integrates the pattern on a larger scale. 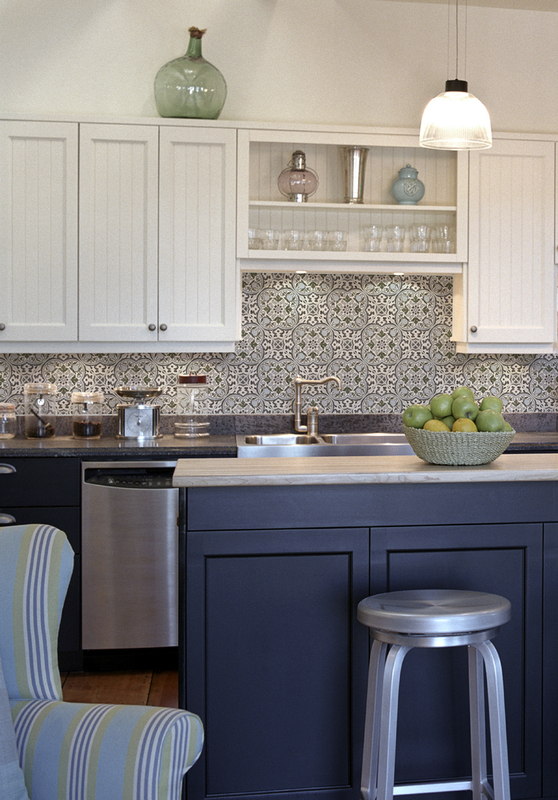 As you can see from the backsplash, Ellipse stretches from counter-top to cabinets without missing a beat. 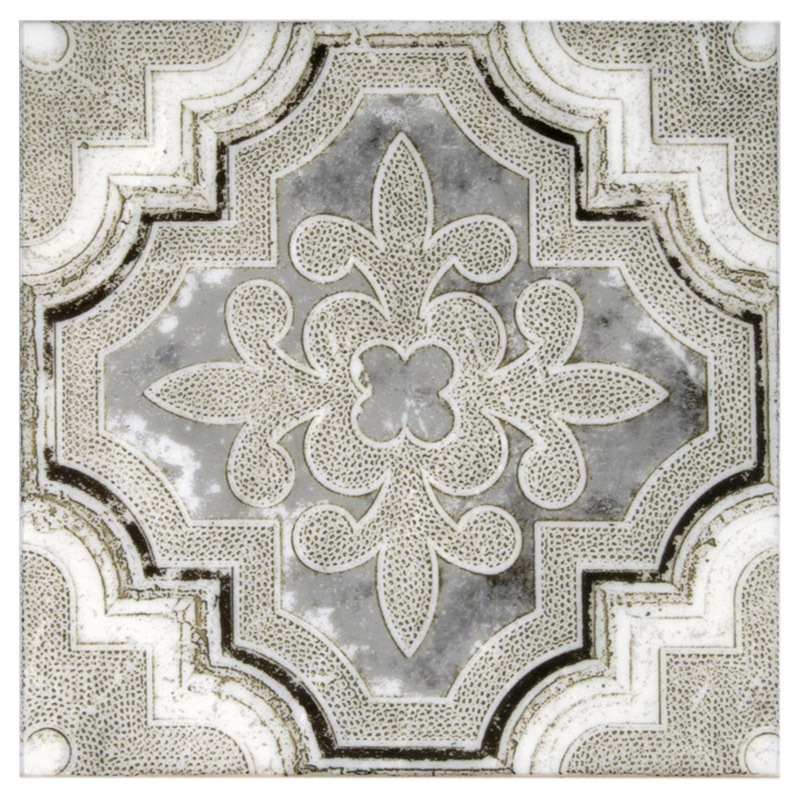 Ellipse Noire Black is bold and glossy which creates strong definitive artwork for your home. 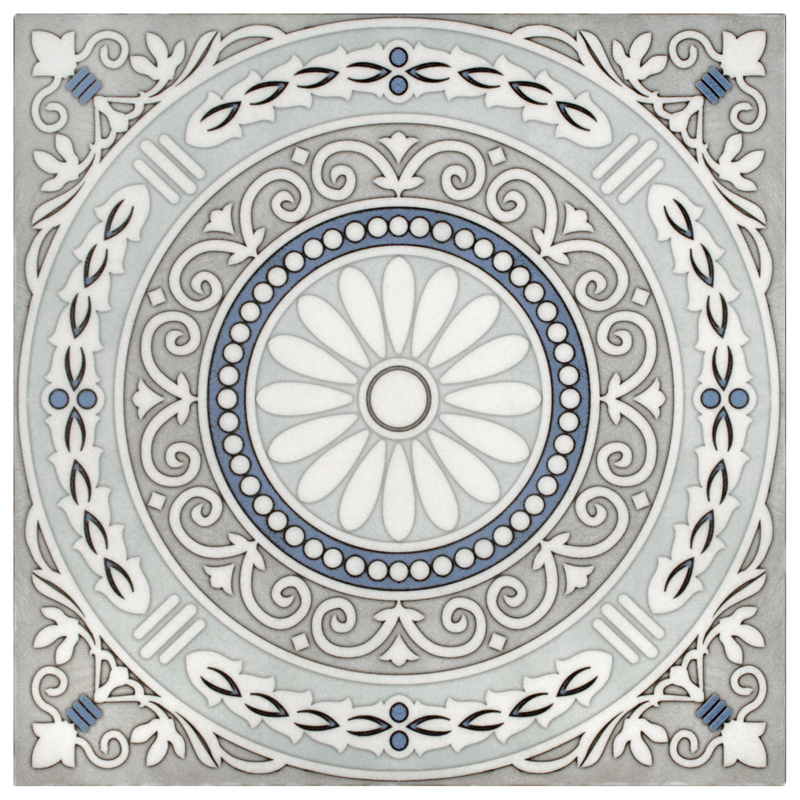 Ellipse Azure Blue is a subtle matte suitable for bringing out light and soothing colors. 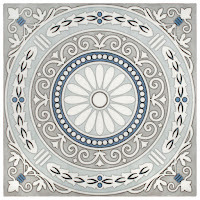 Ellipse comes on a large 12" x 12" Carrara stone. 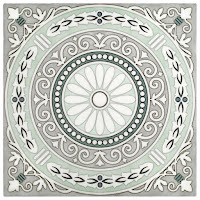 Come check out the Ellipse collection here or visit ArtisanStoneTile.com to see the rest of our collections. 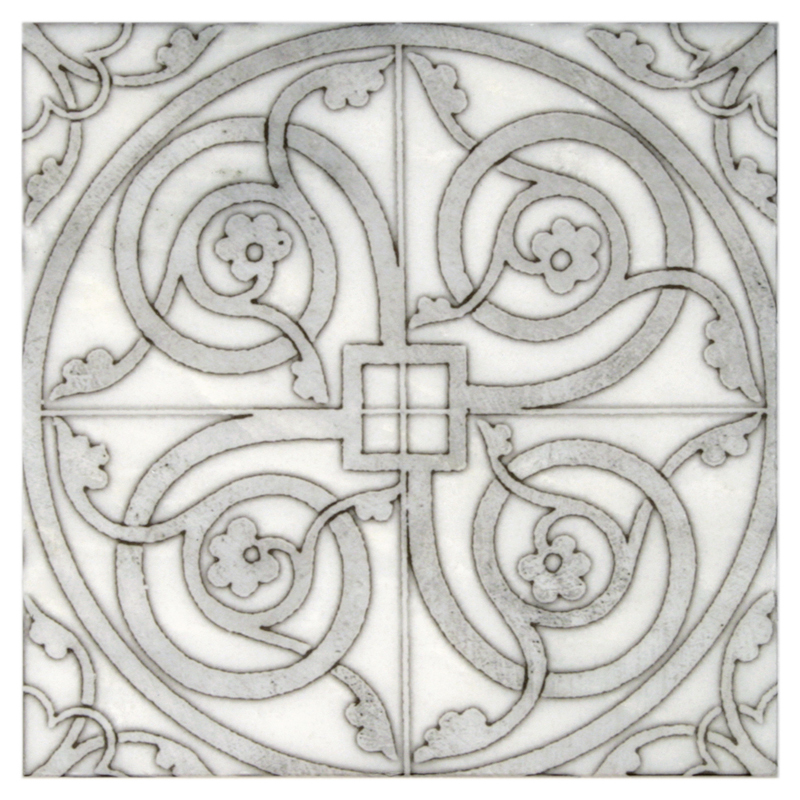 One of the greatest things about our product is that it can all be customized in nearly limitless ways! 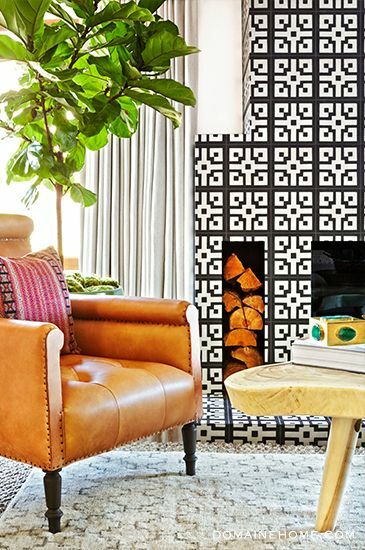 In a special new series, Drew, our go-to guy for all things custom, will discuss current or past favorite custom projects to give our readers a glimpse into his process! 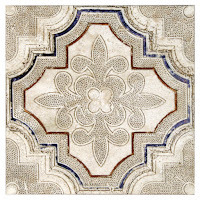 On this job for Tile Market of Vero Beach, Florida, our client requested to change the colors of the Artisan Stone Tile Lena pattern using the colors seen in one of our StoneImpressions Clermont murals. 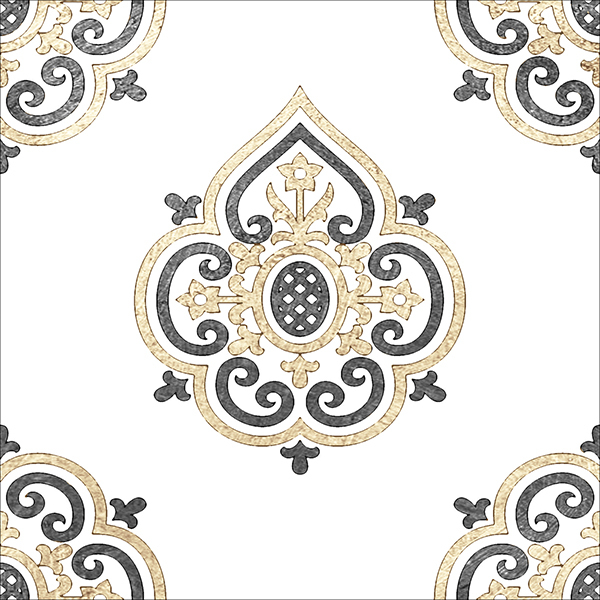 The way I decided to approach this project was to take the Lena pattern and make four versions of it; one of each of the four colors that I sampled from the Clermont mural, and then I layered the different versions on top of each other. 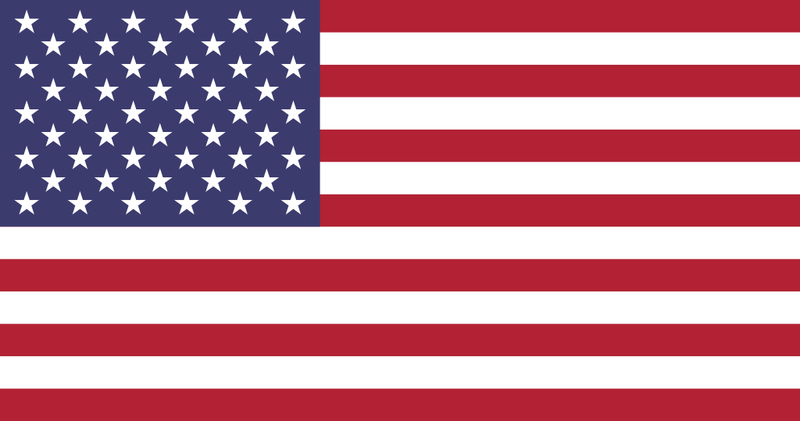 I then applied "masks" to each of the layers so that each layer only showed the portion of each color that I wanted to be visible. This is also a helpful approach because if the client changes which areas they want colored a certain way, I simply have to reapply the masks differently, rather than redo the design. 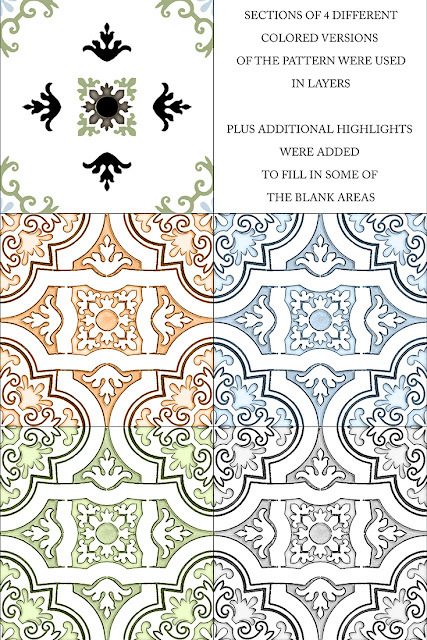 Custom colors can be done on any of our patterns! 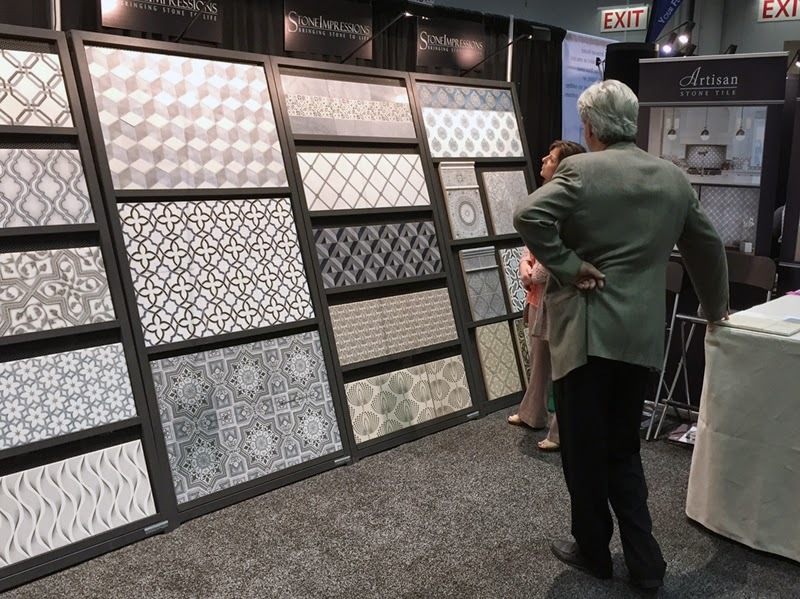 Colors may be pulled from our designs, matched to paint chips, fabrics, etc., or custom created based on a client's needs! 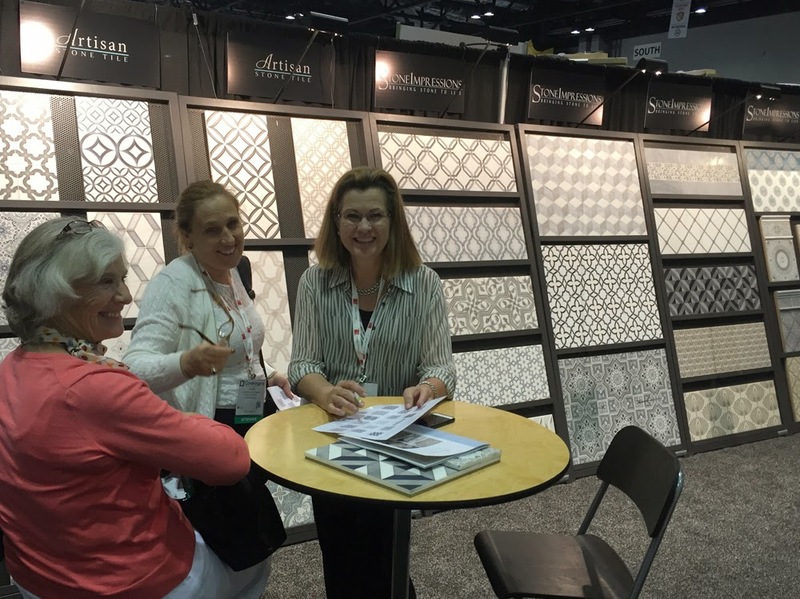 One of our absolute favorite things is getting to see photos of our work installed and looking beautiful! 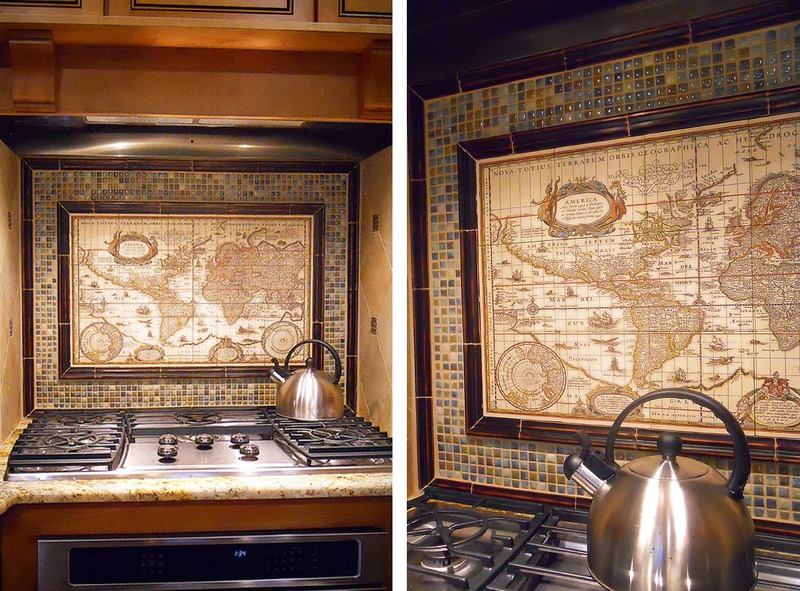 Thank you to Gisella Miller of Gisella Miller Design for sending this photo of our Explorer's Map mural looking fantastic in her client's kitchen! Working together with MCA Systems in Tomball, Texas, the two turned a vision into a gorgeous reality!